"I'm using my 8GB SanDisk Secure Digital SDHC card for my digital camera. When I was about to move my files to my PC, I accidently formatted it. ALL THE PHOTOS WERE LOST. I am going out of my mind..not knowing if there any way to recover data from SanDisk memory card free?" As the industry-leading flash memory card manufacturer, SanDisk is famous for its high storage capacity, durability, fast data transfer speed and many more. But like all forms of electronic storage system, you may often run the risk of accidental data loss on SanDisk Memory Card. Below we list some possible reasons for SanDisk data loss and how to recover data from SanDisk card. So what to do if files on SanDisk memory card are deleted or formatted? Worse still, SanDisk warranty does NOT provide reimbursement for data recovery services. Don’t worry! 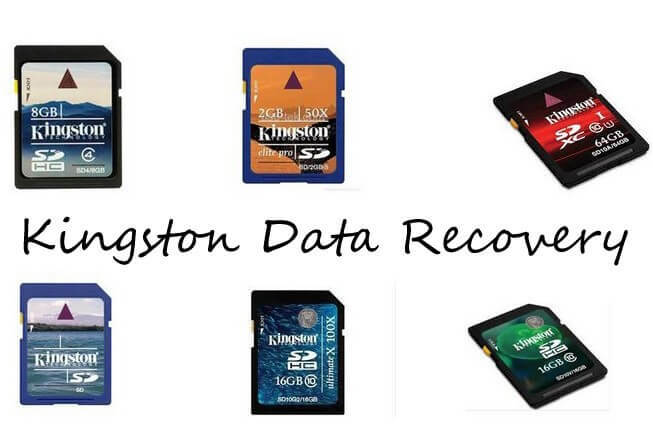 You can easily get them back with Free Sandisk Data Recovery Software before overwritten. It proved to free recover deleted/formatted/damages photos, video, audio, document and other data files from SanDisk SD/microSD/CompactFlash/CFast Pro/Memory Stick Pro Duo memory card. Not only memory card, it also support to recover deleted files from SanDisk flash dive, recover data from SanDisk Cruzer, ETC. To get started, download and install Free SanDisk Data Recovery Software to your PC. Step 1. Connect your card to your PC with a card Reader. Run Free SanDisk Data Recovery Software. Select the file types you lost files and then click "Next". Step 2. Go ahead to select a location where your lost files stored. Click "Scan" button, the software will quickly scan the selected disk to find all your target files. Note: If you lost your partition, select "Lost Disk Drives". Step 3. After scan, the program will list all your lost files by file type, folder structure and time; you can preview them before recovery. Tips: Click Deep Scan button on the bottom to start Deep Scan if you can’t find the files you want to recover. This scanning will scan out more files and consequently requires more time. Step 4. Finally select out those you want. Then, click "Recover" button to get them back. Don't save the recovered data on your original memory card again. Within 4 easy steps, all your lost files are exactly back! If you need to recover SanDisk memory card on Mac, refer to SanDisk Data Recovery Software for Mac and the recovery process is the same as on Windows.